To submit a request for a refund on a credit balance because of over-payment, the Student Refund Request must be submitted through the student’s myNortheastern portal. Verify that you have an existing credit on your account before submitting your request. Anticipated credits are funds that have not been received by the university, and therefore cannot be refunded. If the credit in your account is due to a Parent Plus/Alternative Loan and/or Payment Plan payment(s), we need to have the borrower or bill payer complete the Refund Authorization Form prior to releasing the funds requested. Set up direct deposit to allow your refund to be deposited to your U.S. checking or savings account. Credit Card Payments: In the event a credit card was used to pay any student charges, credit balances in the student’s account will first be applied to the credit card used, with any remaining balance paid to the student. Tuition credits are granted based on the date of the official withdrawal processed by the registrar’s office. Non-attendance does not constitute official withdrawal. Credit policies vary according to the duration of the course. Typical tuition adjustments are made according to the schedules shown below. The first week of class is the week containing the “classes begin” date listed in the academic calendar. Payment options and credit policies vary on some courses (4-week, 5-week, and 6-week intensives; workshops; and special sequence courses) and special programs. If you are unsure about a course you are taking, contact the Office of Student Accounts. You may elect to purchase tuition insurance through Dewar Corporation for protection in case of a withdrawal due to an illness or accident. Visit www.collegerefund.com for additional information. Information on the University’s Emergency Leave of Absence policy is located in the Undergraduate Catalog in the “Academic Policies and Procedures” section. Transcripts and other academic records will not be released until all financial obligations to the university have been met. 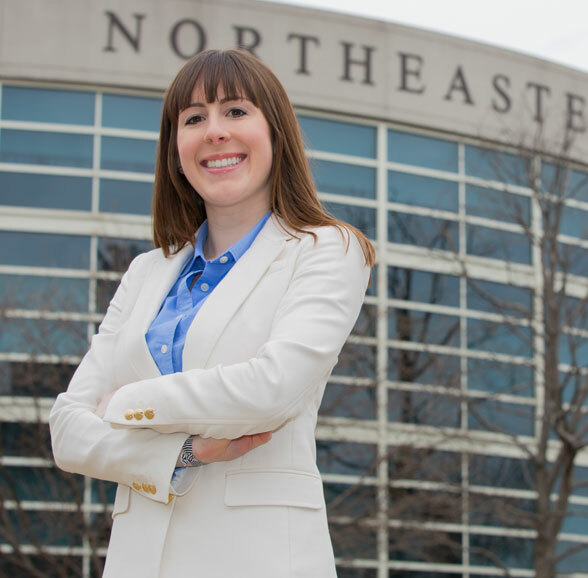 All rates are subject to revision at the discretion of Northeastern University’s Board of Trustees. For information regarding policies that effect eligibility for federal grants and loans upon your withdrawal or adjustment to course enrollment, please see withdrawal policy in the section above. View refund information for California residents. Undergraduate day students should refer to Course Overloads and Reduced Loads for information on adjustments for withdrawing from individual course(s). CPS will permit students to withdraw from 12-week, 8-week, and 6-week courses within 14 days from the start of the term and receive a 100% refund. After the 14th day of the term, any student seeking to withdraw from a 12-week, 8-week, or 6-week course will be ineligible for a refund. Should a student decide to withdraw from a course, she/he is expected to do so via her/his myNortheastern account. Students who experience difficulty adding, dropping, or withdrawing from a course should email the Office of the University Registrar at registrar@northeastern.edu promptly. If it is determined that there is an issue she/he needs to contact the Service Desk at 617.373.4357 (HELP); help@northeastern.edu. CPS will permit students to withdraw from 4-week courses within 7 days from the start of the session and receive a 100% refund. After the 7th day of the session, any student seeking to withdraw from a 4-week course will be ineligible for a refund. With the exception of Education Summer Institutes and one-day courses, CPS will permit students to withdraw from courses meeting for one week or less through the first day of the course and receive a 100% refund. After the first day of the course, any student seeking to withdraw from an intensive course meeting for one week or less will be ineligible for a refund. Important note: Nonattendance does not constitute dropping a course. A student must submit a formal drop request in order to be eligible for a refund. For full-day courses, payment must be made no later than the first day of the course. Course fees are fully refundable if Northeastern University receives written documentation of withdrawal (or rescheduling if applicable) on or before the 14th day prior to the start date of the course. Withdrawals made less than 14 days prior to the start date of the course are subject to a 25% late withdrawal fee. If a student fails to attend a full-day course without notifying Northeastern University, the entire tuition may be assessed. For Professional Development courses, a substitute may be sent in a student’s place in order to avoid the 25% late withdrawal fee. Residence rate adjustments are made by Housing & Residential Life. For specific rate adjustments, refer to the Residence Hall and Dining License Agreement on their website.